Energy savings and air quality are two major concerns for homeowners. Air infiltration is often the primary cause of excess energy use in the home. Outside air contributes to temperature change and allows dust, moisture and pests inside. An air infiltration sealing system can help protect the air quality of your home and save energy by reducing the need for additional heating and cooling. Southland Custom Homes provides many ways to keep your home comfortable and energy efficient. Our house builders use high quality air infiltration sealing systems to ensure that each home will function at its best, while saving energy and money. Southland Custom Homes green features include ZIP Roof and Wall Framing Systems that are proven to reduce air leakage by over 80%. Combined with our air infiltration sealing system, you can rest easy knowing that your home has the best protection possible. Outside air can enter your home in a variety of ways. Proper insulation combined with quality windows and doors can help to prevent outside air from getting in, but other areas are often left unprotected. For example, unexpected cracks and flaws in the home's exterior, walls, ceilings, and floors can provide an easy entrance for outside air. These faults are often created during framing, or with additional installation of wiring, plumbing and air ducts. When outside air enters the home, it can alter the desired temperature as well as contribute to unwanted air pollution. Your home's heating and cooling systems are designed to filter air and maintain a desirable temperature. When air from the outside enters the home, these systems have to work more than usual to maintain air quality. Not only does this waste energy, but will also cost you extra money. An air infiltration sealing system is the best way to seal your home to improve air quality and keep costs down. 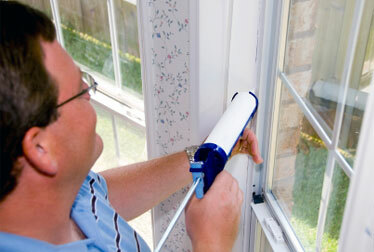 Proper sealing will eliminate any unwanted cracks and holes that allow outside air to enter the home. Our expert installation team takes the time to ensure that each home is as energy efficient as possible. At Southland Custom Homes, we have experienced house builders that know how to keep your home warm and dry. We put special care into each new home to ensure the safety and comfort of every family.